With that backdrop, let’s get to the review. The Joya de Nicaragua Clásico is a very well presented cigar. The gold, white, and green band strikes the balance well between being understated but still having personality. The outer wrapper is very smooth, with no imperfections and a carefully applied triple cap. The cigar seems packed well, with no uneven soft spots. After cutting the cigar with a straight cut, I test the draw, which is about a 7/10 in terms of total restrictiveness. Just right. The cold draw carries some spice and wood, and off the foot I pick up some wood and sweet malt flavors. The Joya de Nicaragua Clásico opens all the way down at mild bodied. Is hard to discern exactly what is going on because of how mild it is. There’s a bit of a wet paper note seated next to a cedar and salted peanut combination. I’m surprised to find that the retrohale has no strength at all. The lack of strength wouldn’t normally be an issue, but smoke production is at or even a touch below average so I don’t feel like I’m getting a true experience of the blend. Overall, not an encouraging start to this cigar. At a inch in, the burn is great and the salt and pepper ash is still holding on. Body and strength are still at the bottom end of mild, which is beginning to get a bit frustrating. Flavors on the palate are mostly unchanged, though a very subtle vanilla note is hanging around that I really like, rounding out the woodsy notes. As the cigar burns into the second third, the salted peanut that dominated initially has also drawn down a bit, making more space for other flavors to emerge. There are hints of spices here and there which are augmented by a nice creaminess in the texture, but they never step forward enough to claim their space in the overall profile. In the final third, the cigar finally starts to hit its stride, with smoke production increasing, along with the strength of flavor. Gentle wood notes make a solid foundation for supporting flavors of creamy coffee and nuttiness. Construction in this section of the cigar is flawless. Nice overall, but a bit perplexing. 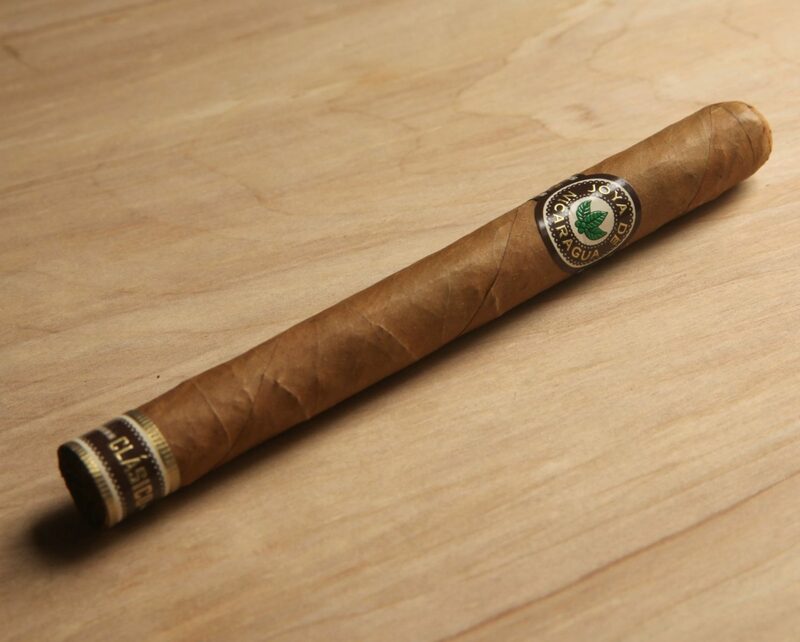 I enjoyed the Joya de Nicaragua Clásico, but find myself a bit disappointed at the end. Though the cigar performs very well in terms of construction and has some nice flavors, I was expecting a bit more in terms of strength. For that reason, it probably isn’t a cigar I’d return to outside of an early morning smoke. I have considered the possibility though that this is exactly what JdN is going for in this blend: i.e. an extremely smooth, easygoing smoke that I can’t imagine would offend anyone’s palate. The company reported that the Clásico line is its best selling product in Europe. 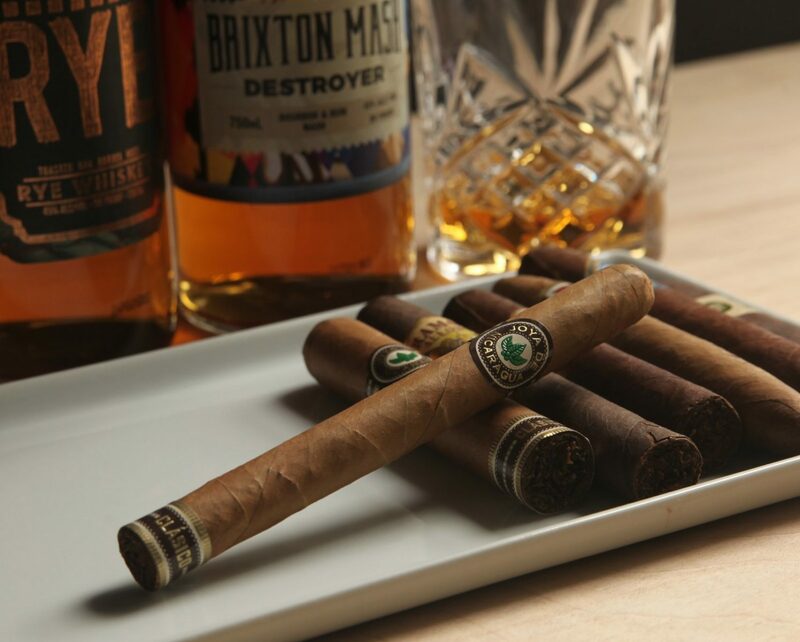 This makes sense given that the European market is saturated with more Old World Cuban products that tend to be less forceful than Nicaraguan cigars. So the gentler experience is likely what the company was going for. Whether it will be successful in the American market is less clear. In any case, this is a solid product, and if you are in a mild cigar phase, I’d suggest giving the Joya de Nicaragua Clásico a try.